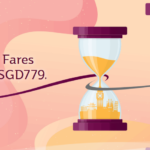 Not simply just a nice set of numbers or an auspicious date, but the 10.10 Sale, also known as the Perfect 10 sale in Singapore is an annual event that seasoned shoppers look forward to. Although it might not be as ‘hot’ as the 11/11 Singles Day that falls on 11 November or the 12/12 shopping extravaganza on 12 December, the 10.10 sale still has got some pretty exciting deals to look forward to! While we are gearing up for upcoming festivities, here are 10 best sales you can expect this coming October. Be in the know on these perfect deals on Fashion, Beauty, Travel to Shopping and more. Scroll on down, there’s something for everyone! P/S: Don’t miss out on the special bank Qoo10 coupons at #10! Oh yes and that special cheesecake surprise at #12! Can’t wait for the 10.10 Sale? Start shopping here! 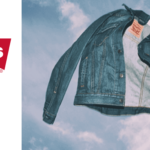 If you are looking for that perfect party dress for Christmas or a chic jacket for your upcoming winter holiday, ASOS is having a RED HOT SALE of up to 50% off nearly everything for a limited time only. Remember, shopping at ASOS means you’ll need to factor in shipping time so here’s the perfect time for you to get shopping! 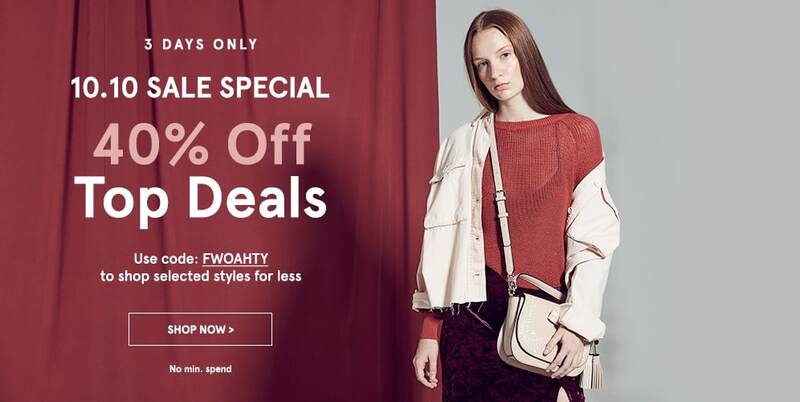 Zalora’s 10.10 Sale Special features 40% off their top deals! 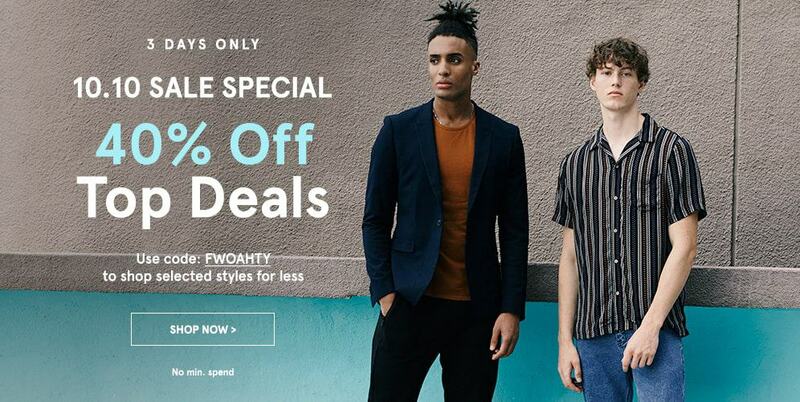 If there’s something you’ve been eyeing to add to your wardrobe, here’s a good time to get it. Participating brands include Mango, Melissa, Crumpler, American Tourister, Superdry, Converse, Sperry and more! 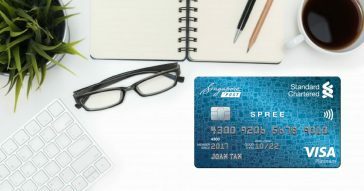 ✈️ Want more travel deals and credit card promotions? They are all waiting for you HERE over at Cardable! Sephora’s private sale might have just ended, but there are still some goodies! It’s the perfect time to treat yourself to some luxurious skincare. How about adding some sparkles to your year-end party look? Check out these pretty glitter makeup that aren’t too OTT! Plus, enjoy free shipping with orders S$40 and above! New clothes checked, new makeup checked, and now it’s time for booking that getaway of yours. Agoda presents some perfect deals with extra up to 10% or more on your dream destinations. 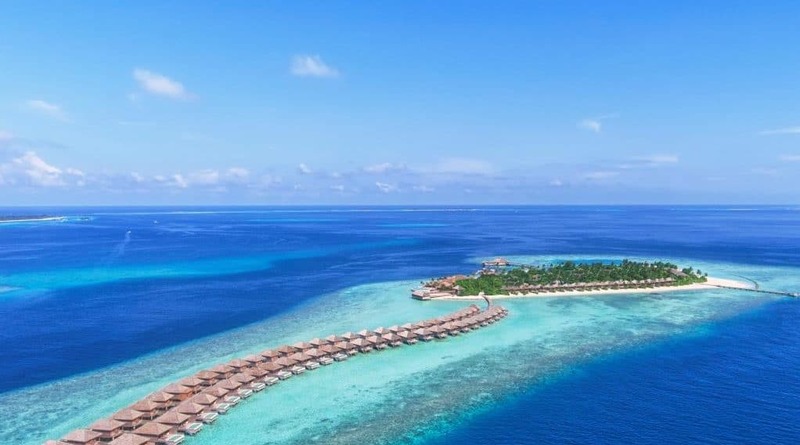 10% off resorts in Maldives? Yes please! 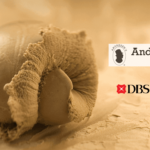 There’s also 10% off New York, 11% off South Korea and more but fastest fingers first! These hot deals expire fast. This October, enjoy exclusive fares on Zuji with Singapore Airlines, Thai Airways, United Airlines Garuda Indonesia and more. 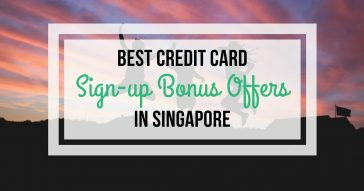 If you’re a Standard Chartered Mastercard Cardholder, then you’re in luck! This is one exciting sale happening over at Trip.com! Discover London and Australia with Qantas Airways from S$580, go red and orange in Osaka and Kyoto this Maple Leaf Season with discounted hotel rates and so much more. Are you the sort of traveller who packs each day to the brim with activities? Or the sort who prefers to go free and easy to find some new unexplored gems? 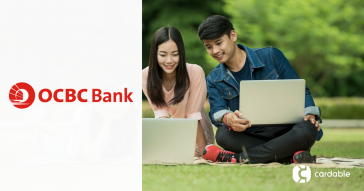 No matter that kind of traveller you or your companions are, Klook is definitely useful when it comes to buying railway passes, parks or attraction tickets and so much more. Save more with Klook in their biggest year-end sale! T&Cs apply. Read more at link below. We’re less than 80 sleeps to 2019 – Where did all that time go? 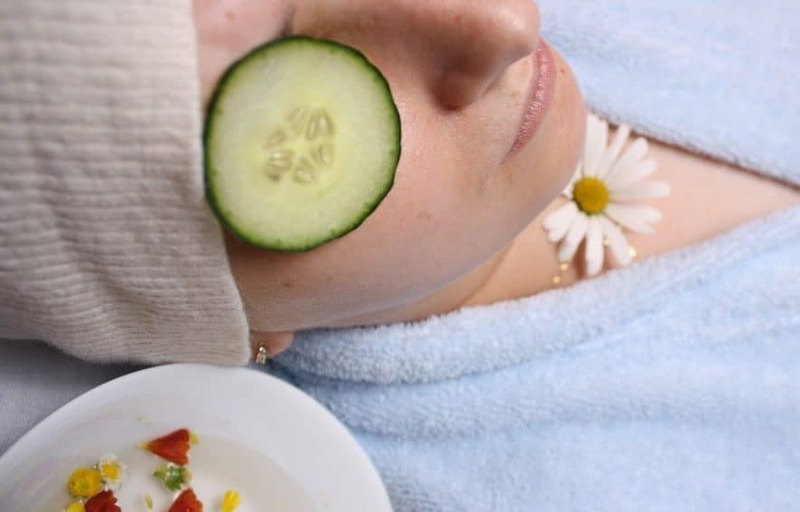 Here’s your perfect chance to book yourself a relaxing spa session, cleansing facial session or beauty treat to unwind in Vaniday’s Glam 10 sale! Here comes the exciting part. Lazada is having a 24 hours only sale on 10 October 2018 starting from midnight! Get 100 flash deals at S$10/item, shop best sellers and top products and guess what? You can start collecting coupons now! What’s a 10.10 sale without Qoo10?! We’ve been saving the best for last here, so good on you for staying with us! 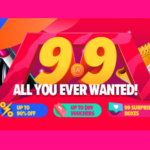 Known as the 1010 Qoo10 Day, this year, Qoo10 brings us the ultimate shopping experience with amazing discounts and deals as well as grand savings from up to 90% off! Promotion: Grab your cart coupons! GET MY QOO10 10.10 CART COUPONS NOW! 🛍 Shopping with the right credit card makes all the difference. 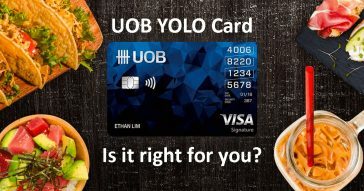 If you are looking for a better card more suitable for your lifestyle, check out our article on how to claim sign-up gifts like Miles or Vouchers with your application! Considered the ‘New Kid on the Block’ here in Singapore, Shopee has made quite a name for itself on having really affordable deals and interesting items for everyone in the family, especially for babies and children. You might have seen people shaking their phones furiously at certain times of the day just last month. They must be shaking for Shopee coins! 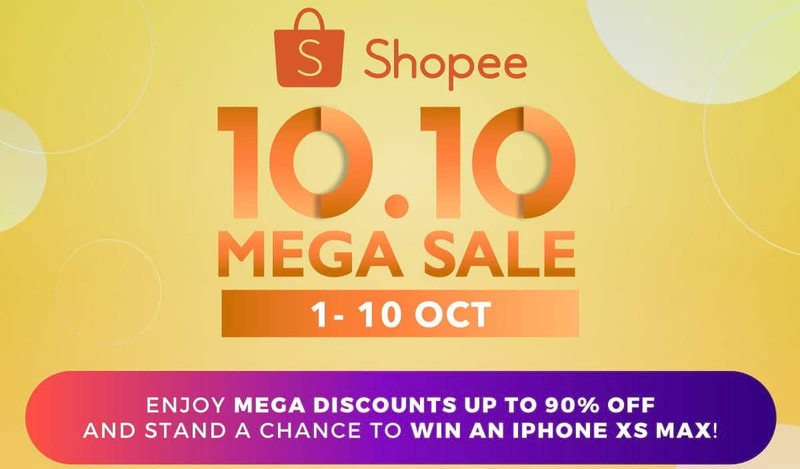 So if you were one of them, make good use of those coins to shop in Shopee’s 10.10 Mega Sale! If you’re new to Shopee, get started here! Whew! After all that intense 10.10 shopping, your tummy deserves a treat! What could be better than indulging in a rich, delicious cheesecake? How did the 10.10 Sale came about? It started with the roaring sales that came about with the 11.11 Single’s Day sale a few years ago. 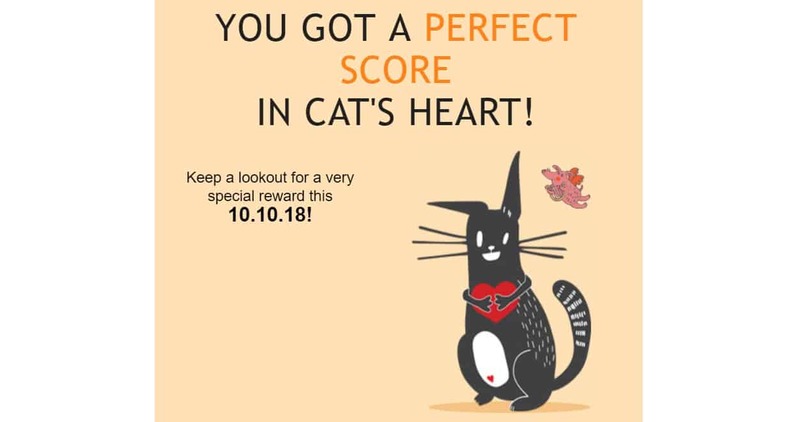 Now, many online retailers such as Lazada and Qoo10 are jumping on the bandwagon and generously giving huge discounts whenever there is a double date with the date of the month coinciding with the month itself, such as 9.9 (9 September), 10.10 (10 October), 11/11 (11 November) and even 12/12 (12 December). While such good dates are usually reserved for weddings in the past, they have now became exciting sale dates! Good for us (though not so much on our wallets and on the environment so do shop wisely)! As the 10.10 Perfect 10 Sale is a prelude to the more exciting sales to come in the later part of the year, it’s a good time if you need to get some of your daily essentials to tide yourself till then. Keep an eye out for shopping platforms such as Lazada or Qoo10 where there are plenty of coupons that you can collect in the lead up to the sale date. One good tip is to make use of wishlists and even online shopping carts to help shortlist the items you need so that you can cart out when the 10.10 sale day arrives! Be sure to do a check that you’ve applied the promo codes and coupons before you cart out. Start keeping a lookout for Qoo10 Time Sale & Daily Deals. These are launched during the day or week with items on huge discounts. While Time Sale & Daily Deals Items are not eligible for any stacking of coupons, you can still use Qpoints and Qmoney to offset your purchases. There is a chance of special Time Sale happening during the 10.10 Sale! At Qoo10, there are usually special coupons known as Cart Coupons and Event Coupons that you can get. If you are a Qoo10 member, depending on your membership tier, you could draw up to 4 coupons per month that would expire within 2 weeks or so. However, a better coupon (with a larger discount) will be via special event coupons that you can find on the Qoo10 site. Be patient when it comes to these event coupons as they generally rotate every 3 days or so. This is the most effortless way of collecting Qoo10 coupons and QPoints. Simply check-in daily on the Qoo10 app, with each check-in giving you one chance to spin the roulette wheel for great prizes. On every 6th day of the check-in, you’ll get a bonus that comes in the form of additional Qpoints so here’s a good time to start now on collecting QPoints for the 10.10 sale! We know that when it comes to shopping online, there can be alot of clutter and when it comes to sales that fall only during a special day or flash deals, time is of the essence. We are regular online shoppers who love a good sale too and are always on the look-out for ways to save. So where does a regular online shopping get the best out of such sale seasons? Here at Cardable, we’ll do all the Chop, chop, currypok for you so that you can get right to the gist of the best sales out there. Look out for our recommendations of the best sales out there that you can get yourself some great savings throughout the year. 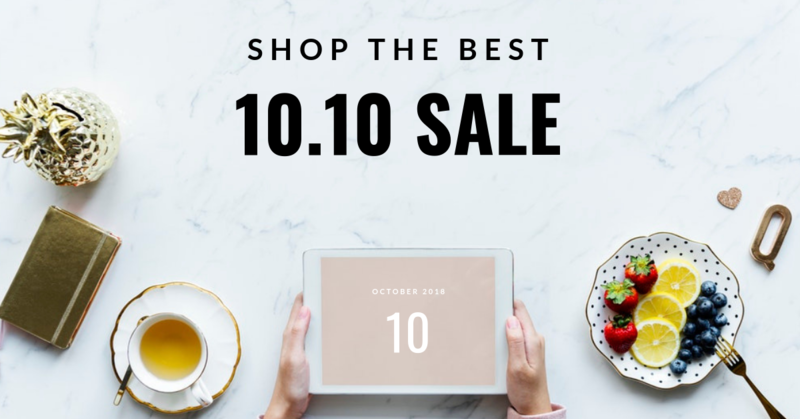 When it comes to big brands and online retailers coming up with new and more frequent opportunities for sales, just like the 10.10 Sale, stay up to date with Cardable! 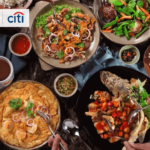 Hungry for more great online shopping deals or credit card promotions? Cardable’s got it all covered for you! Check them out here!